JVC has been rather quiet for nearly 2 years now on the projector front. Two months ago, buddy of mine said he heard that the company may be giving up on the HT projector market. However, last month I saw the X-series projectors on fine tuning in AV Designs I knew that JVC just took a little longer than usual to up date their product range this time round. 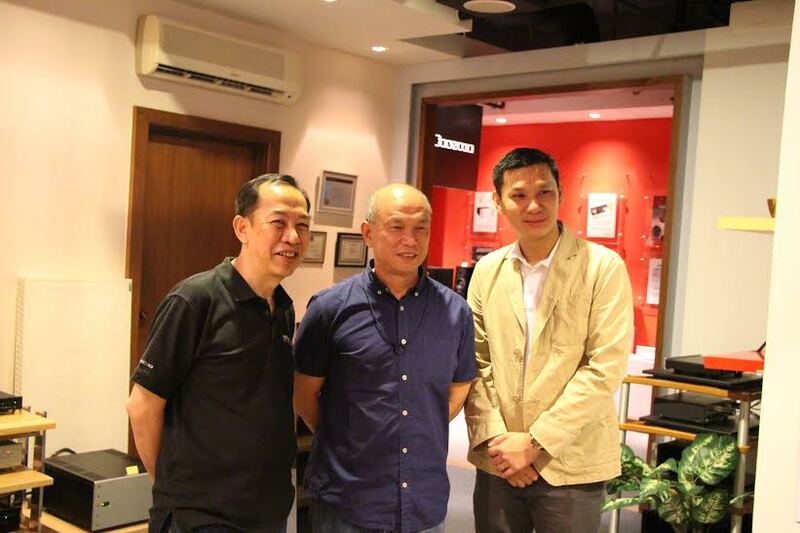 Then finally, last week end, AV Designs held a media launch for the new JVC X-series projectors, with Steven Woo, Sales Manager of JVC Malaysia present. 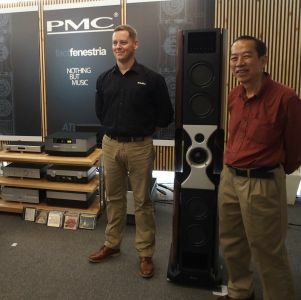 Steven Woo, Sales Manager of JVC Malaysia (right), with James Tan (centre) and Tony Low at the launch in AV Designs, Menara Rohas Perkasa, Kuala Lumpur. 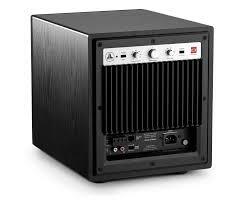 There are 3 models in the X- series projector, with DLA X-5000 making the entry level, the DLA-X7000 adding THX certification & higher contrast ratios and brightness to boot, and lastly the flagship DLA-X9000, coming in with the most impressive specifications and video performance that all present at the media launch can see. The new range of JVC projectors support HDMI standard(4K60P 4:4:4) and HDCP 2.2 for HDR(High Dynamic Range) content compatibility. 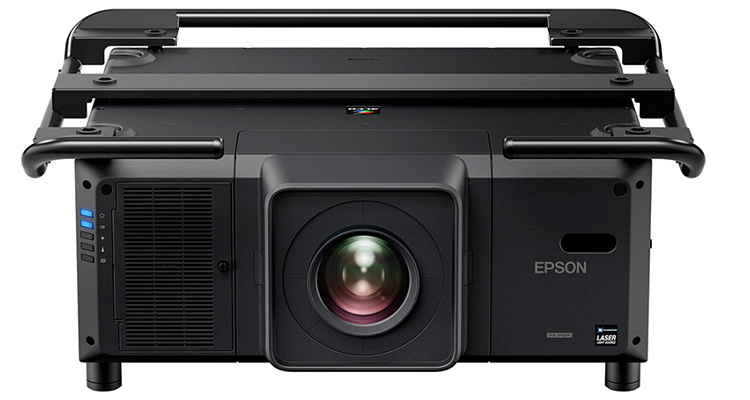 The new projectors employ high output lamp, that achieves exceptional brightness of 1,900-lumen (DLA X-9000 only). 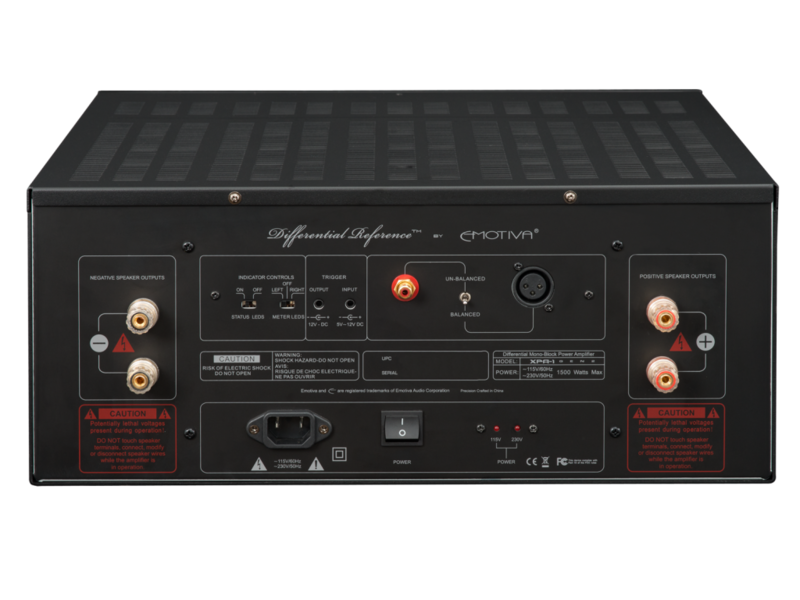 The signature JVC 4K e-shift4 up-scaling technology is also up dated from previous e-shift3. All the best specifications in world means nothing if the eye cannot tell the difference. And we were treated to some of the most amazing movie images ever at the AV Designs showrooms. 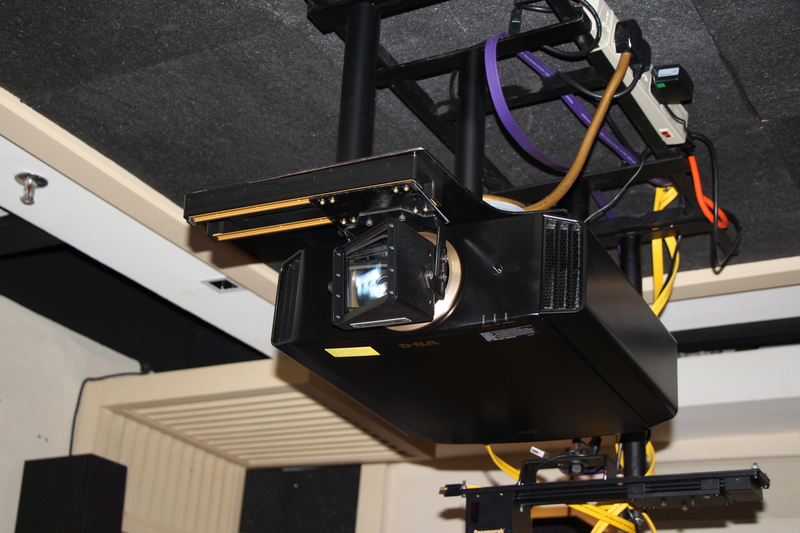 They have mounted the DLA X-5000 projector in their mid range HT demo room and the DLA X-9000 in their state of the art HT demo room. First up, we noticed more dynamic image quality from the JVCs, Previous generations of JVC projectors tend to have a rather softer, more organic picture quality to them. Blacker blacks and higher contrast ratio were clearly evident, even with the entry level model. The DLA X-9000’s picture quality was simply stunning, and clearly a few rungs up when compared to the entry level model. 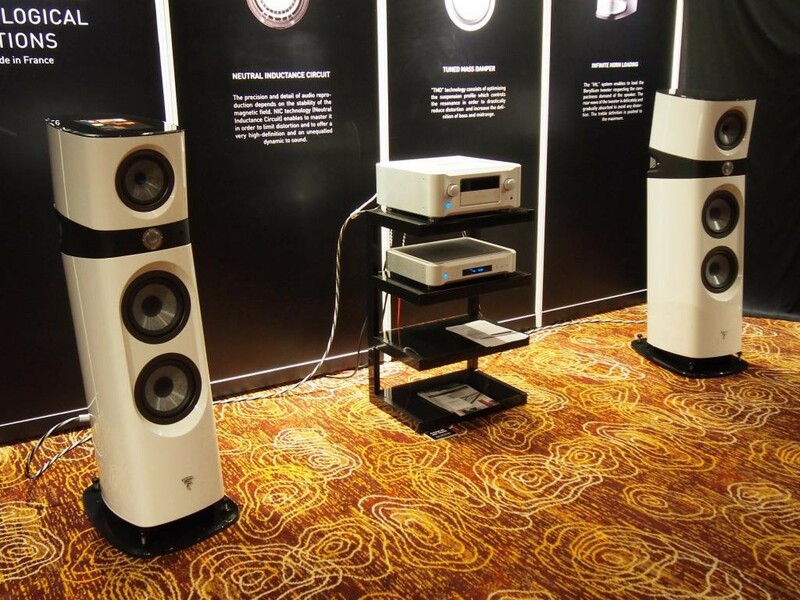 James Tan says that in his years of experience as a premier JVC installer, the latest X-series projectors easily represents a biggest jump in picture quality, compared to the small incremental progress made by past model changes. In fact he feels so strongly about the performance of the latest X-series picture quality, there’s is now a very attractive trade up program for owners of previous JVC projector models on offer for a limited time only with AV Designs! 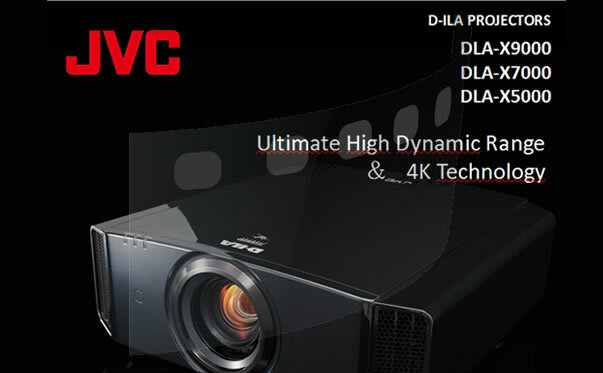 Interested to know more or experience the latest JVC DLA X-series projectors? 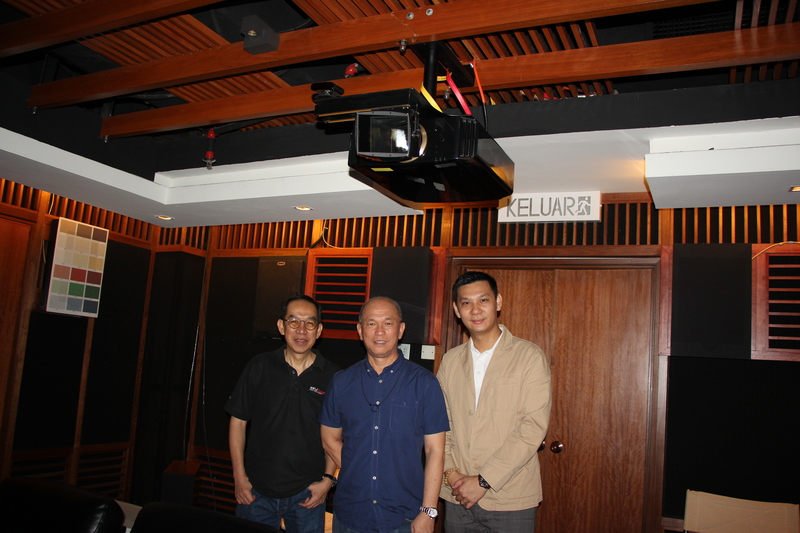 Steven Woo, Sales Manager of JVC Malaysia (right), with James Tan (centre) and Tony Low of AV Designs in the demo room featuring the JVC DLA-X9000 projector. 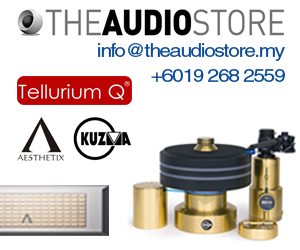 Contact James Tan or Tony Low at AV Designs at 03-21712828 for inquiry or demo appointment.